Diving into the last swimmable reservoir is getting perilous. Carp are digging into the mud in those already empty. Two thirds of our irrigation water is gone, leaving only enough to water our vulnerable crops for another two weeks; had we not invested in sealing a leaking reservoir last year, we would already be dry. Now, with high pressure anchored over the Atlantic, only thunder can help us. Our agronomist’s report makes grim reading: carrots, cabbages, lettuce, chard, potatoes, leeks… all are delayed or reduced in yield, with quality problems anticipated for what remains. The reasons are always ‘delayed planting due to the wet spring’ followed by ‘lack of water’. To give some sort of return to our co-op farmers and keep the boxes full, it is likely that we will need to be more flexible on specifications where eating quality is not significantly impaired. It is often better to harvest a struggling lettuce, cabbage or head of broccoli at a lower weight, than to leave it another week to limp on, gaining a few grams but becoming yellow, tough and bitter with dehydration. We have had some nervous summers before – but the crunch has never come so early. We still have the right to draw water from a tributary of the River Dart under an abstraction license my father took out in the 1960s, but it would leave the stream bed virtually dry, and still not be enough to satisfy the thirst. Slate, our underlying rock, is relatively impervious, so boreholes do not work unless you are very lucky. 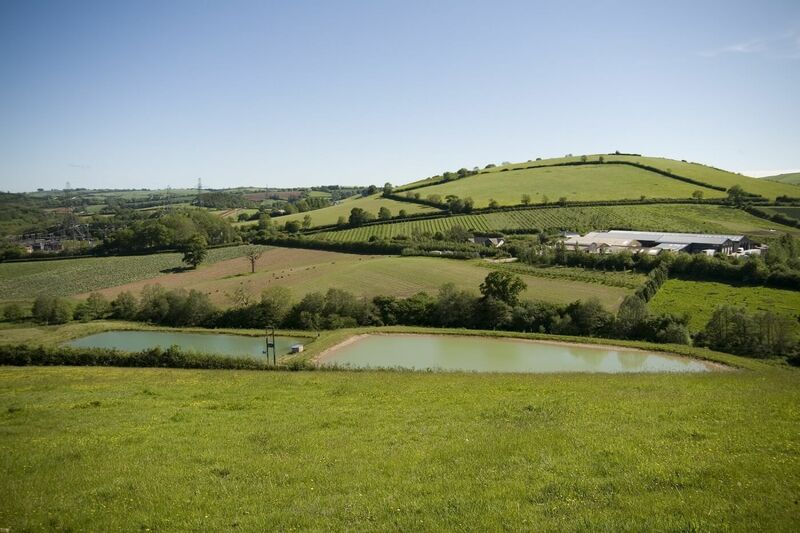 The only commercially viable option (and the most environmentally favourable) is to build clay-lined winter fill reservoirs wherever there is a valley bottom wide enough. To invest in an asset that is used so unpredictably (on average every 30 years) is a bold move, but perhaps climate change is shifting the odds – and at least we will have somewhere to swim. It isn’t all doom. The heat and sun-loving tomatoes are early and looking great. Cucumbers are massively ahead of schedule with heavy yields, and sweetcorn and pumpkins are also looking good. We have had a few thundery showers this week, amounting to a very welcome inch of water; enough to germinate the swedes and allow recently planted leeks, cabbages and caulis to get their roots down into the moisture reserves below. Now we’re just praying for more.